With its wide-ranging collection of new books, imaginative displays and themed promotions, The Roche School library is fast becoming one of the most popular places in school. 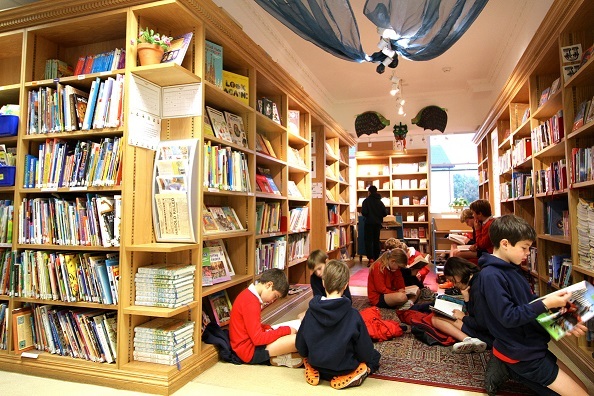 Our children love their weekly library sessions and enjoy browsing the shelves and choosing their new book. We emphasise reading for pleasure and aim to introduce the children to books which will expand their horizons. The library has something for everyone, from picture books and graphic novels, to books for new readers, short novels and classics. We also have a broad range of non-fiction. At The Roche, we take our library seriously; alongside our paired reading and parent/child reading schemes, the library plays a key role in our literacy development strategy.